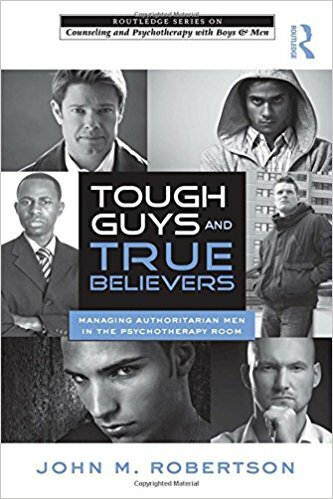 "A true thought leader in the field of masculine psychology and men's issues." "A respected and thoughtful voice in the public conversations about masculinity." 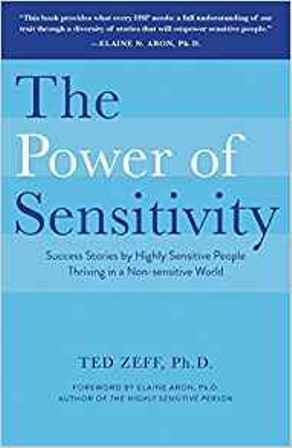 "A rare man of sensitivity, insight, and healing wisdom about trauma." My name is Rick Belden. I've been exploring and chronicling the psychology and inner lives of men for thirty years in my work as a poet, author, and artist. If you're a man who's feeling stuck in a life that's inauthentic, unfulfilling, or stagnant, I can help you get things moving again. I know this because I've been where you are right now myself. When I first began my journey of discovery, growth, and healing back in 1987, I did so with the kind assistance of other men who were a bit farther down the path than I was at the time. Without them, I couldn't even have taken the first step at a point in my life when I knew something had to change. Now, three decades later, I'm offering my skills, knowledge, experience, and expertise as a guide, mentor, and teacher to do for others what those men did for me. Do you feel like your life is stuck in neutral? Are you hitting the same old walls over and over again, putting out a lot of effort but making no progress? Or do you feel so stuck and so blocked that the mere thought of trying has become exhausting? Do you feel haunted by an old loss or emotional wound that you can't seem to shake? Or perhaps you're experiencing a more general feeling of emotional pain that eats at you daily, making it difficult to focus on getting the things you want from life? Do you ever wonder what happened to the boy you were while growing up? Do you miss him, his energy, his optimism, and his imagination? Do you ever feel like you lost him somewhere along the way, and along with him an important part of yourself? Feeling like your life is stuck in neutral? I know what it's like to feel so stuck that progress seems impossible. I also know that it's temporary. By identifying root causes, I can help you develop strategies for addressing and engaging them in ways that spark forward motion and positive momentum in your life again. Haunted by an old loss or emotional wound? I've been where you are now. I can help you identify the true sources of your emotional pain so you can learn how to transform it into a source of knowledge and energy that will enable you to feel better, release blocked creative potential, and improve your life. What happened to the boy you used to be? That boy you feel you may have lost somewhere in the past is still alive inside, waiting for you. I know from my personal experience that you can reconnect with him, and I can show you fun ways to do it. What are some of the benefits of doing this work with me? Feel more confident to take risks and move in new directions. Improve your sense of clarity and focus. Move forward again in life, work, and relationships. Experience less pain, more joy, more freedom, and better access to creative energy. Enjoy yourself more as a person by progressing toward a more mature, effective, authentic, and complete experience of who you really are. For some client perspectives on the benefits of working with me, have a look at my Testimonials page. My number one goal as a coach is to help people who are feeling stuck begin to move forward toward what they want in life. I do so primarily by helping them begin to repattern their relationship with themselves as that relationship is, in my view, the fundamental driving force that determines both the quality and outcomes of our decisions, behaviors, and actions. Exploring root causes of patterns of belief, perception, behavior, and action to develop new understanding and insight into what is driving those patterns. Identifying strategies, tasks, and actions to make use of those insights so as to begin to develop and practice new patterns that are healthier, more functional, and more successful. These two tracks are interrelated and each informs and influences the other as we move through the process. A big part of repatterning one's relationship with oneself, in my approach, is to reconnect and begin to develop healthy awareness and communication with earlier aspects of the self that were lost, abandoned, forced into hiding, etc. These aspects are often frozen in time but still driving unsuccessful patterns of belief, perception, behavior, and action in an effort to meet an agenda that remains unfulfilled. My approach is flexible, in-the-moment, and tailored for each individual. I aim to create and maintain a friendly, open, relaxed context with each client that is simultaneously both pragmatic and appropriately challenging in service to their individual needs, intentions, and goals. I also provide coaching services for women, as much of the same knowledge and experience that informs my work with men is both applicable and effective for women as well. If you're a woman who feels some resonance with material I've included on this page, I invite you to sign up for a free discovery session so we can explore your current situation and begin to identify a productive path forward for you. For a woman's perspective on the benefits of working with me, have a look at the remarks from Christina E. on my Testimonials page. I've been a coach for a good number of years ... From my first call with Rick I really felt like I was being guided through a healing process and a territory that I think very few coaches and counselors know as well as him. Rick helped me to recognize that I do have options and choice, and the power to navigate my emotions in more responsible and healthy ways in the future, so as to more positively influence and experience my life, marriage, and parenting. The money, time, and effort that I invested in the process have been well worth it. I have no reservations in wholeheartedly encouraging other men seeking hope and help to take advantage of Rick's life experience and expertise. My free discovery with Rick was absolutely amazing. He was gentle and patient and he never patronized me ... Rick asked questions that astounded me and made me see myself in a different way ... I can't say enough about how great Rick was at helping me. He changed my life. It was worth far more than I paid. He helped me step outside myself to get a clearer picture of who I am ... My sessions with Rick have been a boon to me and I highly recommend his coaching. Rick has been an invaluable guiding light and a genuine inspiration in helping me to help myself ... He sees things clearly and works with integrity and compassion. My interviews, poetry, and essays have appeared in books and on media platforms around the world including those shown below, reaching an international audience of many thousands of men and women. Copyright © 2017-2019 by Rick Belden.